Continuing the legacy, I thought about sharing this wonderful "Facial Kit" that we discovered a few weeks back, with all the readers. Yes, it is "Do at home" Facial kit that comes handy to you given the care your skin needs and goodness of ingredients it has. Swedish Direct selling Cosmetic Giant Oriflame has recently launched "Pure Nature" range of skin care products. I have used their Manicure set and Rose water toner in past and loved both of them. Being a happy user and a sucker for facials [Yes I love getting facials, if not for cleansing but purely for facial massage] I have agreed immediately to try this product. And what I received was purely wonderful and fruit-tastic! Product review: After much deliberation between fruits and tea tree, I have opted for facial kit for "Normal to Dry skin" in Tropical Fruits. 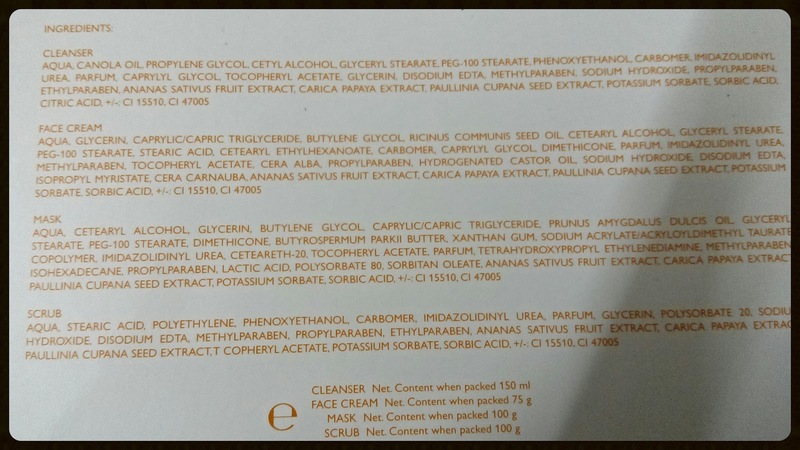 Pure Nature Facial Cleanser . The products came in sturdy and easy to use, designed in white and yellow containers. The packaging is simple, neat and apt. 1) Pure Nature Facial Cleanser [bottle]: It is a soap free cleanser infused with tropical fruits cocktail. It is quite mild and gently cleanses, refreshes he skin leaving it glow. This is to clean the face from all dust grim. 2) Pure Nature Face Scrub [Tube]: It exfoliates and cleanse skin by removing dead skin and impurities. It re-freshens and energize the skin leaving it healthy and smooth. 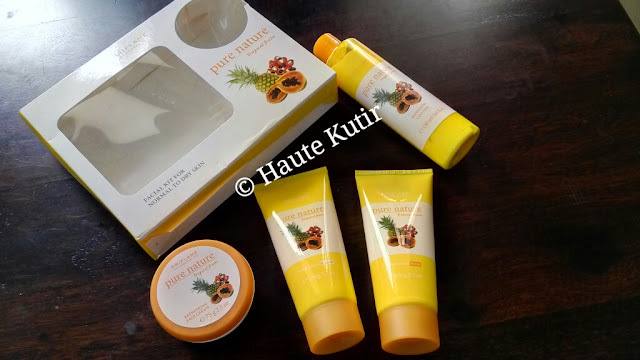 3) Pure Nature Face Massage Cream [pot]: It moisturizes and softens the skin . Also, boost the skin with tropical fruit cocktail rich in antioxidants. Application: massage it for 5-10 minutes to stimulate micro-circulation.. Gently wipe off. A glance at mirror and you will feel the difference. 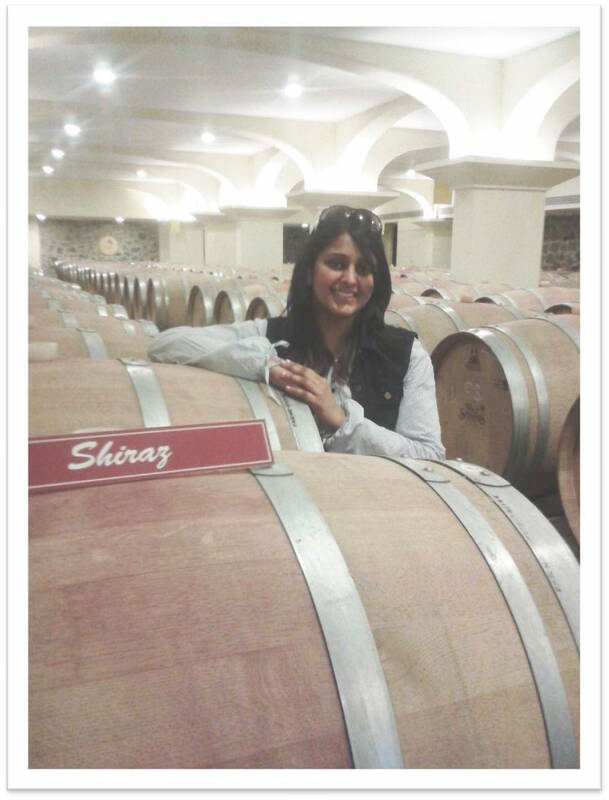 Haute Kutir Experience: I have used the product late in evening post my return from work. Obviously I was tired and my skin dull. I have been delaying my Facial appointment for more than weeks and was in much need something that relax my skin and in the meantime rejuvenate it. 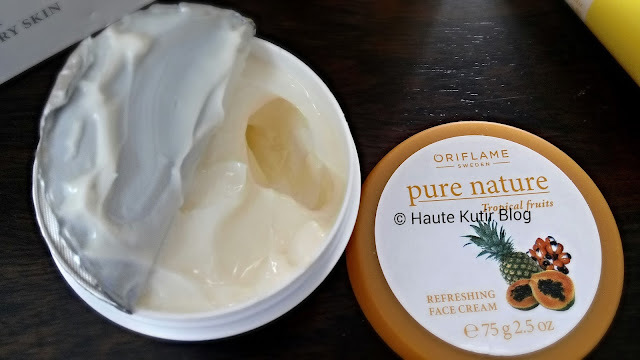 So did Oriflame Pure Nature Facial Kit did the magic? Was it useful or just another product in market? Is it worth investing time and and skin in? And how tropical the tropical fruits are? Well, the answer of all them are YES! A big resounding yes. The facial kit is light in texture, has fresh appeal and is quite effective in fighting dullness and dryness of skin. 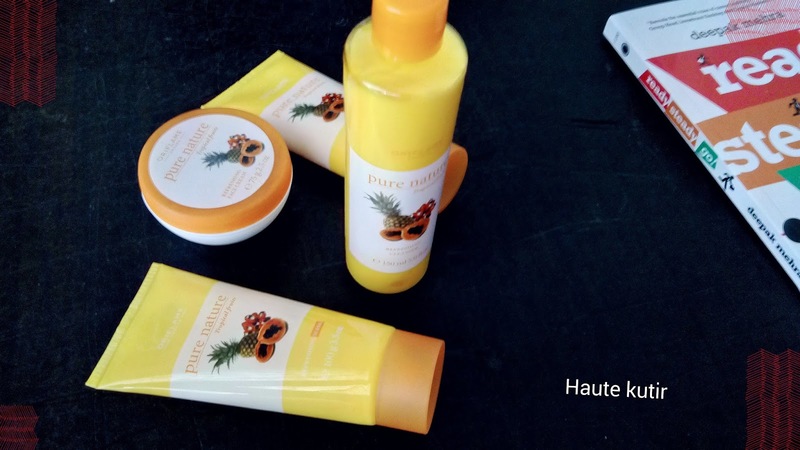 The fragrance is awesome, something that transports you in to the world of Hawaian Tropical fruits. Normally, I do not prefer skin care products with strong fragrance but loved the refreshing one of this. It is irresistible and a very good option for facials especially during summers and even monsoon. I, in particular liked the scrub and the massage cream. The scrub is mild yet well grained and best part is that you would require a little amount to scrub off your facial skin clean. Avoiding using excessive as neither do you require [unless your skin is really in bad shape]. The cream is amazing. Its super smooth textured, almost like velvet on your skin. I really loved its feel and ended up applying more than I needed. Sachchi! 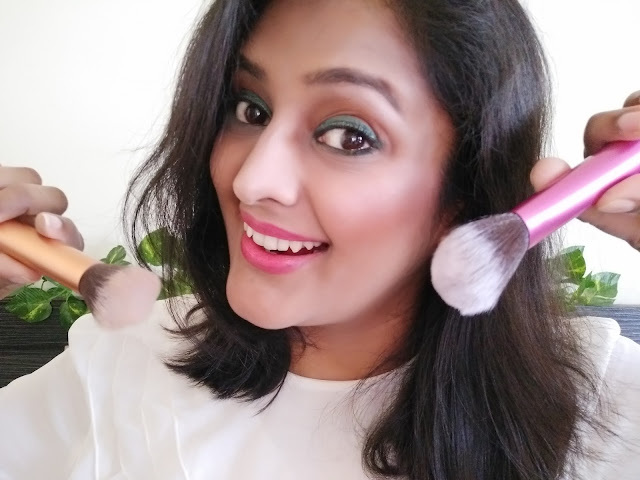 Haute Kutir Verdict: The Oriflame Pure Nature Facial kit is quite easy to use and does work on your skin. It does not take much time but does what it is meant to do. At Rs 1199, it is quite cheaper than on e decent facial that you want to do and can be used for multiple times. So go ahead and splurge yourself.